In today’s busy routines of life, everyone just have not time to visit various market shops to buy needed pieces of home furniture! It is all easy to build pallet furniture at home in couple of minutes and this would be great idea for the homey persons who remain busy in other routines! Only by stacking and attaching the pallets together, clone this sturdy DIY pallet desk and coffee table set which is as sturdy as stylish as one can wish it to be! 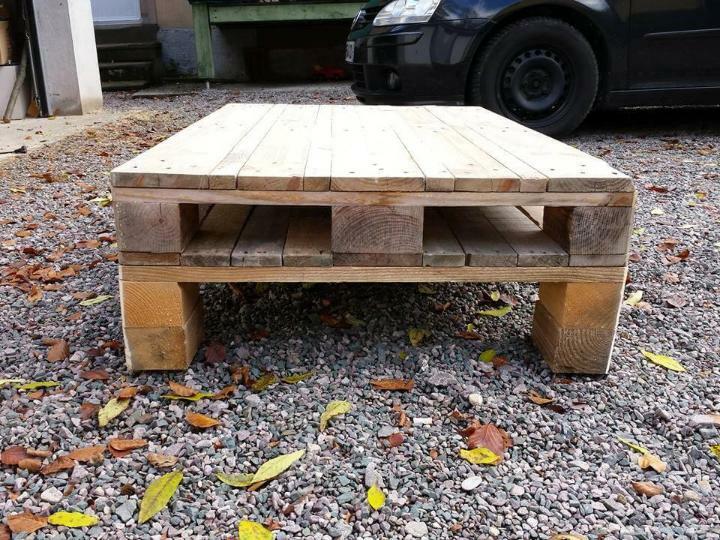 For coffee table construction, you all need to grab 2 clone sizes of Euro pallets, stack them and gain a stylish low height coffee table which would also be storage-friendly! For computer desk, just make one pallet sit flat on 2 pallet boards standing vertically! So simple, quick and easy peasy! Last step would be to install hardware to secure all the parts in place! The desk also comes with underside cubbies that can hold well your completed assignments! This is here the way you love to arrange the pallets to gain furniture having in your need-list! Don’t put your home’s performance and functionality at risk due to your unaffordability for modern expensive furniture! 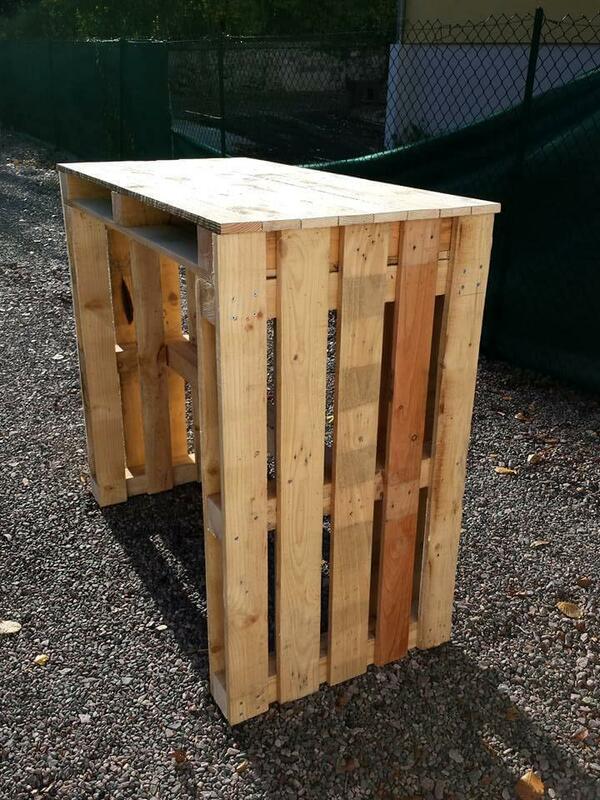 Recycle pallets and enjoy! Simple flat arrangements of pallets over each other are a way to get instant coffee tables! 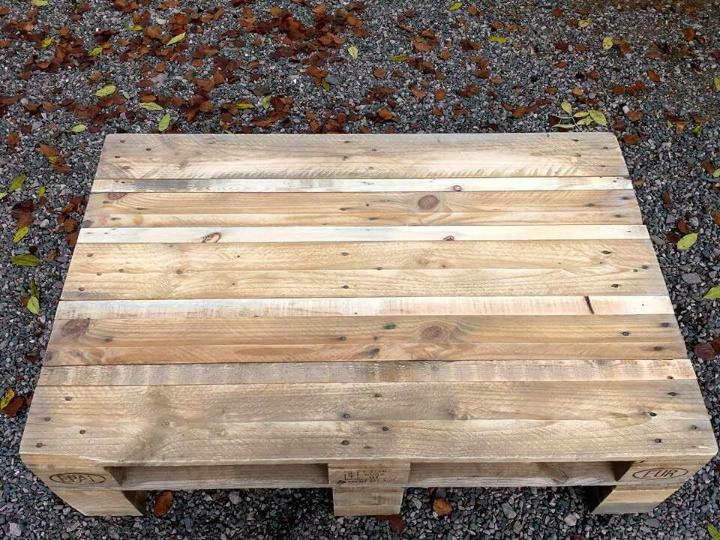 This is here a low-height coffee table gained by a super easy stack of 2 pallet boards! Openings bring lot of storage space to entire coffee table, a bonus of working of pallets! 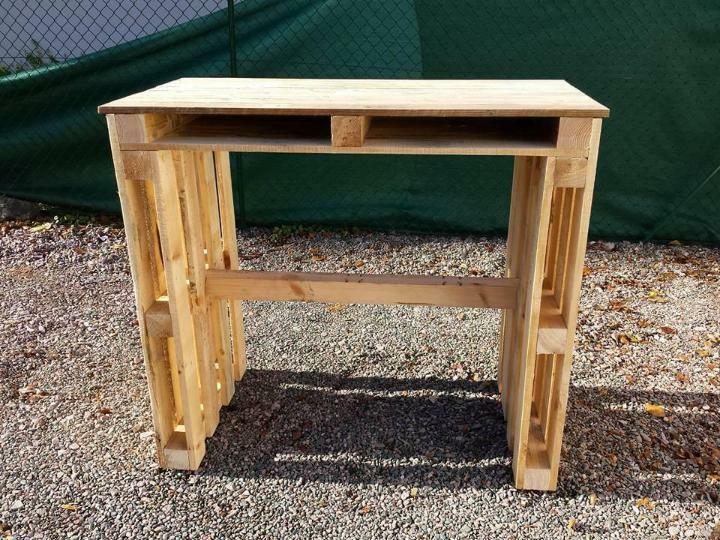 Build that super easy U-shape using 3 pallets and enjoy this super stable desk design for operating computer, laptop or for sturdy purposes! Customize this pallet-made table with custom logos, stencil patterns or using custom paint coats! For extra height, use caster wheels or custom legs like metal hairpin legs or metal pipe legs!